The CEO of a large medical cannabis company in the USA states he was denied insurance because of his association with the industry. In December last year we reported participants in the USA’s burgeoning medicinal marijuana sector were having problems with gaining access to basic financial services. At that point, around 60% of companies didn’t have bank accounts for their businesses. Some have reported being denied personal bank accounts or having their existing accounts closed as well due to the association. 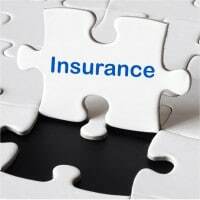 A new issue is emerging, one related to insurance. But this isn’t about insuring the business itself. Oddly enough, it seems it’s life insurance for those working within the industry presenting a problem. According to an article published on Nevada Public Radio, Terra Tech CEO Derek Peterson says he was denied life insurance not because he uses marijuana, but due to his association with it. “I always thought there would be a potential risk to be denied for the insurance on an actuarial stand point for using cannabis but never – for the life of me – would have thought I would have been denied just for my association with the industry,” Peterson said. Mr. Peterson also states he’s struggled to arrange retirement plans and healthcare insurance for employees. The reasons for application denial were not reported in the article. It’s a particularly strange situation as it appears those consuming medical marijuana products and declaring they are don’t seem to have any issues with securing life or healthcare insurance; although health insurance doesn’t cover the costs of cannabis medicines. Further digging around on the problem revealed it may be an issue in specific regions and insurers. Some companies have reported not having any problems gaining various insurance products required, albeit at a much higher rate than other industries in instances. In June last year, Lloyd’s of London stopped insuring marijuana industry firms of any nature as a result of conflicts between federal and state laws concerning legality. It seems the medicinal marijuana industry still has some serious work to do and hearts and minds to win before it is fully accepted and treated as a legitimate industry by various service providers.